Before hiring a car transport company, ask them questions when deciding from one or another. The budget is not the only factor to take in consideration, but the precautions and professionalism are important too. Here are some important questions that should always be asked in these cases. The auto transport industry has to follow the trucking laws while transporting vehicles from one place to another. There are many rules-regulations that have to be followed, so it reaches the destination without any problems on the road. The auto transport company should have years of experience and should possess an active license. They should give you a bill of lading, where all the dents or damages in the vehicle being transported, are noted. Also, both parties should sign this document at the time of pick up and delivery. Make sure the vehicle is properly insured. A delivery date should be in the contract, and if for some reason they cannot deliver on that date, they should inform the customer immediately. The contract should say whether the vehicle is being transported in an open truck or enclosed truck. You should also find out if delivery is from terminal to terminal or door to door. The auto transport industry employs drivers to drive huge trucks that transport the vehicles of the customers to their destination. The weight becomes very important because the roads should be able to handle the weight. That’s why is necessary to know the route and the nearest weight stations and checkpoints on the way. The truck size and specifications should also conform to the laws. When you are transporting a vehicle, only certain size and weight of truck can transport it. If the right size is not used, then you will be going against the law. Because is dangerous and can lead to accidents, the drive certain hours a day and not to be exceeded. Also, the truck driver should have in the truck – the log book, insurance information and other necessary documents and equipment that are given by the auto transport company. These are essential things that should be in the truck at all times.The driver has to also follow certain rules of auto transport. He should only drive for a certain number of hours in a day. This should not be exceeded, as it is dangerous and can lead to accidents. All the hours that the driver has put in should be logged. Are you in need of an auto car transport? 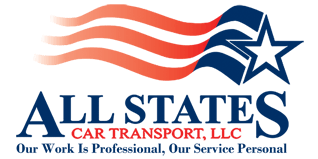 All States Car Transport we make sure all of our car carriers are equipped to exceed your expectations in car shipping transportation. 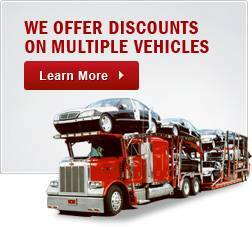 Our widespread network of carriers helps us choose the best car transportation service to deliver your vehicle safely. Place your reservation online here or over the phone at 954-533-9505 with one of our professional sale representatives. You May Always Ask for These Auto Transport Rules	Overall rating:	4.7	out of 5 based on 9	reviews.